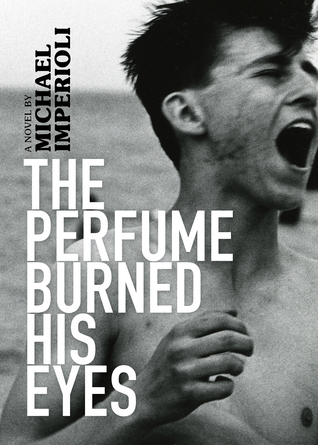 Ok, ok…I admit I read this book because Michael Imperioli’s name was on it. I’m a big fan of HBO’s “The Sopranos” and couldn’t resist. This book, however, was just ok for me. It’s about a 16-year-old named Matthew who moves from Queens to Manhattan with his mother to start a new life after his grandfather dies and leaves them with a large sum of money. Matthew is very insecure and hopes that maybe the move will bring him confidence, which, after getting a delivery job at a local deli, happens. Not long after he begins working, Matthew meets Lou Reed. Yes, THAT Lou Reed (musician, rock god). Reed plays quirky neighbor and the two form a very unusual bond. Matthew begins to come out of his shell a bit. At the same time, Matthew becomes enchanted by a mysterious girl at school named Veronica. I never got a sense of what the exact nature of their relationship was, but Matthew learns a lot about the world from her as well. All in all, an ok book. It’s clear that the point here is a youth’s coming of age, but honestly, that’s about it. Some parts go on longer than normal and other parts had way too much dialogue, but it’s a fast paced story and one that I guess I’ll recommend, depending on your personal tastes. Meanwhile, I’m going to declare a personal moratorium on reading books by celebrities. I don’t know why I expect literary greatness, as if they aren’t cut from the same cloth as the rest of us who may (occasionally) produce ho-hum material.